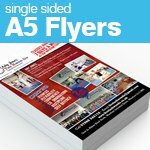 Since 1980 we have been providing quality full colour print across the UK to over 60,000 customers, we are not a broker and print everything in house at our factory in Loughborough - this is why we are one of the only printing companies online who can offer same day despatch and guaranteed delivery the next day working day - we have full control of your order every step of the way! 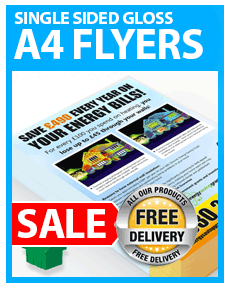 Our flyer, brochure, pamphlet and leaflet printing is in full colour (four colour process) onto our range of gloss art papers and cards such as 130gsm gloss and 300gsm gloss. 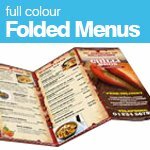 Our online print ordering service allows you to work out your printing prices on-line, but you please feel free if you want to confirm a cheap printing price. 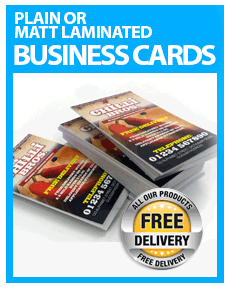 Cheap on-line printing (digital and litho) prices are available on gloss coated in sizes from business card, DL, A6, A5, A4, A3. 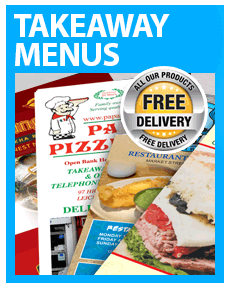 For a larger leaflet, brochure or flyer we can offer pretty much any type of paper or card so whatever your size requirement, you can take advantage of our very cheap online lithographic and digital printing prices, just call us if you cant find what you are looking on our website. 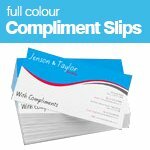 Cheapestprintonline.co.uk covers all aspects of cheap stationery e.g. 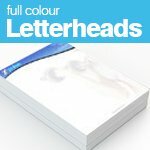 letterhead, continuation paper and compliment slip printing on 100gsm laser and ink-jet compatible white cartridge paper; business card and postcard printing on 300gsm, 350gsm and 400gsm art board, NCR set, NCR pad and NCR book printing on a variety of carbonless papers. 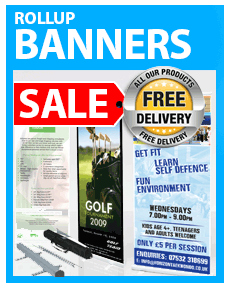 We can also produce a wide range of promotional printing from cheap leaflet printing, cheap flyer printing, and cheap pamphlet printing to the litho or digital printing of a booklet, book, poster, newsletter, brochure, catalogue, price list and folder at the U.K’s lowest prices. 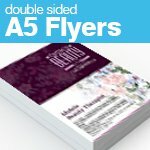 Our factory and offices are based in Loughborough, Leicester, Leicestershire, however our cheap printing service covers the whole of the UK including London, Birmingham, Leeds, Glasgow, Sheffield, Bradford, Liverpool, Edinburgh, Manchester, Bristol, Kirklees, Fife, Wirral, North Lanarkshire, Wakefield, Cardiff, Dudley, Wigan, East Riding, South Lanarkshire, Coventry, Belfast, Leicester, Nottingham, Derby, Sunderland, Sandwell, Doncaster, Stockport, Sefton, Nottingham, Newcastle-upon-Tyne, Kingston-upon-Hull, Bolton, Walsall, Plymouth, Rotherham, Stoke-on-Trent, Wolverhampton, Rhondda, Cynon, Taff, South Gloucestershire, Derby, Swansea, Salford, Aberdeenshire, Barnsley, Tameside, Oldham, Trafford, Aberdeen, Southampton, Highland, Rochdale, Solihull, Gateshead, Milton Keynes, North Tyneside, Calderdale, Northampton, Portsmouth, Warrington, North Somerset, Bury, Luton, St Helens, Stockton-on-Tees, Renfrewshire, York, Thamesdown, Southend-on-Sea, New Forest, Caerphilly, Carmarthenshire, Bath & North East Somerset, Wycombe, Basildon, Bournemouth, Peterborough, North East Lincolnshire, Chelmsford, Brighton, South Tyneside, Charnwood, Aylesbury Vale, Colchester, Knowsley, North Lincolnshire, Huntingdonshire, Macclesfield, Blackpool, West Lothian, South Somerset, Dundee, Basingstoke & Deane, Harrogate, Dumfries & Galloway, Middlesbrough, Flintshire, Rochester-upon-Medway, The Wrekin, Newbury, Falkirk, Reading, Wokingham, Windsor & Maidenhead, Maidstone, Redcar & Cleveland, North Ayrshire, Blackburn, Neath Port Talbot, Poole, Wealden, Arun, Bedford, Oxford, Lancaster, Newport, Canterbury, Preston, Dacorum, Cherwell, Perth & Kinross, Thurrock, Tendring, Kings Lynn & West Norfolk, St Albans, Bridgend, South Cambridgeshire, Braintree, Norwich, Thanet, Isle of Wight, Mid Sussex, South Oxfordshire, Guildford, Elmbridge, Stafford, Powys, East Hertfordshire, Torbay, Wrexham Maelor, East Devon, East Lindsey, Halton, Warwick, East Ayrshire, Newcastle-under-Lyme, North Wiltshire, South Kesteven, Epping Forest, Vale of Glamorgan, Reigate & Banstead, Chester, Mid Bedfordshire, Suffolk Coastal, Horsham, Nuneaton & Bedworth, Gwynedd, Swale, Havant & Waterloo, Teignbridge, Cambridge, Vale Royal, Amber Valley, North Hertfordshire, South Ayrshire, Waverley, Broadland, Crewe & Nantwich, Breckland, Ipswich, Pembrokeshire, Vale of White Horse, Salisbury, Gedling, Eastleigh, Broxtowe, Stratford-on-Avon, South Bedfordshire, Angus, East Hampshire, East Dunbartonshire, Conway, Sevenoaks, Slough, Bracknell Forest, West Lancashire, West Wiltshire, Ashfield, Lisburn, Scarborough, Stroud, Wychavon, Waveney, Exeter, Dover, Test Valley, Gloucester, Erewash, Cheltenham, Bassetlaw, St. Helier, St. Peter Port and St. Anne and the Scottish Borders. 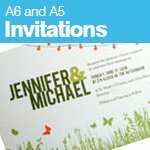 Our full colour (four colour process) printing of a business card, letterhead, continuation paper, compliment slip, postcard, NCR set, NCR pad, NCR book, leaflet, flyer, pamphlet, booklet, book, poster, newsletter, catalogue, brochure, price list and folder is carried out in house on our own presses. 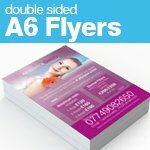 With continued investment in the very latest machinery we can ensure that your folder, pamphlet, booklet, price list, catalogue, newsletter, postcard, leaflet, flyer, poster, book, brochure, business card, NCR set, NCR pad, NCR book, letterhead, continuation paper and compliment slip are printed at a high quality despite the low cost. 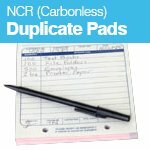 The majority of our cheap NCR set, catalogue, brochure, price list, NCR pad, leaflet, flyer, business card, NCR book, folder, letterhead, continuation paper, compliment slip, newsletter, postcard, booklet, book, poster and pamphlet are now printed at 300lpi, which is like HD compared to our competitors at 150lpi. 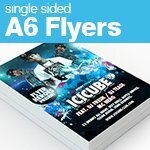 We also print handouts or flyers on 300gsm gloss card. 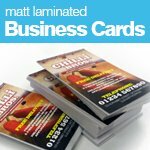 A business card and postcard printed on 400gsm matt art board can be matt laminated for a luxury matt laminated feel. 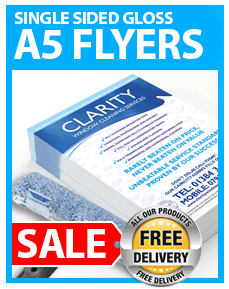 We can deliver our high quality, low cost, cheap printing to anywhere in the UK, including Avon, Bedfordshire, Berkshire, Borders, Buckinghamshire, Cambridgeshire, Central, Channel Islands, Cheshire, Cleveland, Clwyd, Cornwall, County Antrim, County Armagh, County Down, County Fermanagh, County Londonderry, County Tyrone, Cumbria, Derbyshire, Devon, Dorset, Dumfries and Galloway, Durham, Dyfed, East Sussex, Essex, Fife, Gloucestershire, Grampian, Greater Manchester, Guernsey, Gwent, Gwynedd County, Hampshire, Herefordshire, Hertfordshire, Highlands and Islands, Humberside, Isle of Man, Isle of Skye, Isle of Wight, Jersey, Kent, Lancashire, Leicestershire, Lincolnshire, Lothian, Merseyside, Mid Glamorgan, Norfolk, North Yorkshire, Northamptonshire, Northumberland, Nottinghamshire, Oxfordshire, Powys, Rutland, Shropshire, Somerset, South Glamorgan, South Yorkshire, Staffordshire, Strathclyde, Suffolk, Surrey, Tayside, Tyne and Wear, Warwickshire, West Glamorgan, West Midlands, West Sussex, West Yorkshire, Wiltshire and Worcestershire. 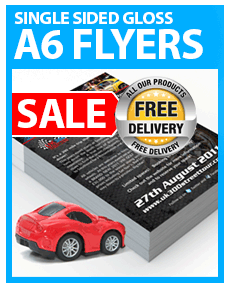 our digital print is the highest quality available , we deliver our digital prints to any part of the country. online digital print is now massive in print, and cheapest print online we are right at the forefront with the latest digital printing machines and easy to use website, it's easy to order your digital prints online, along with large format digital printing and other digital printing services. 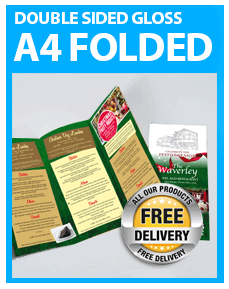 Not all the digital print products that we produce are all detailed on our website, so please call us if you can’t find what you are looking for at the price you require. 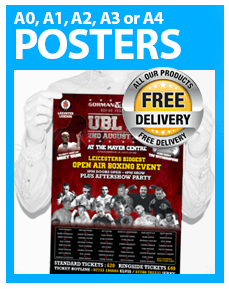 Cheapestprintonline also offer large format digital printing that some other digital printing companies don’t offer due to the costs of the machinery to print large posters, banners and decals. Everybody wants cheap digital printing and this is exactly what we offer - excellent quality digital colour printing at low, low prices. 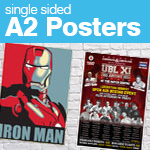 all of our posters, banners and other wide format digital print products are excellent quality, using the best materials and high quality eco solvent inks. 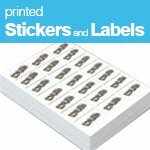 cheapestprintonline.co.uk. 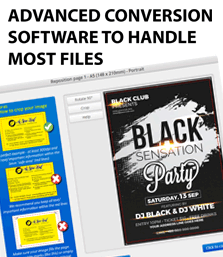 not only specialise in cheap digital offset printing and offset digital printing services for cheap flyers, cheap leaflets, cheap banners , cheap roller banners but we offer full colour litho printing for all tpes of printing such as newsletters, brochures, menus, posters, business cards, compliment slips, letterheads, ncr pads, folders, t-shirts, polo shirts, roller banners, display boards, pvc banners, stickers, labels, takeaway menus, booklets and pretty much anything that needs digitally printing or litho printing. 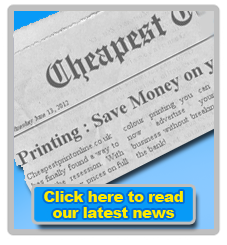 Most of our digital printing products and litho printing products are listed on our website but if you can’t find a price you like for the digital printing or colour printing you require please call us for cheap prices on printing. 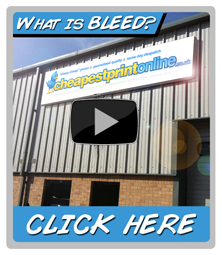 We realise that placing orders online can sometimes be a bit daunting and this is why we offer a Full Guarantee. 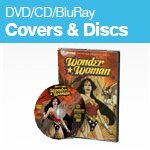 If you are not happy with the quality of our print then return your order to us and we will either reprint the same files again for you or arrange for a full refund. 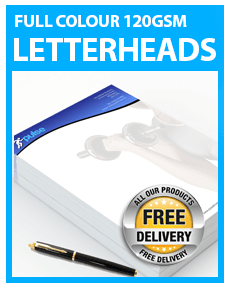 You can rest easy knowing we have been in business for over 30 years and guarantee you will always receive the highest level of customer service and quality print for every order you place, no matter how big or small. Copyright © 2012 CMYK Ltd.